With the video communication platform from Avaya, we have decisively strengthened collaboration within our hospital. We can also integrate other health care providers effectively, which helps to ensure first-class patient care in the future. The regional clinic association of St. Josefs-Hospital Wiesbaden includes St. Josefs-Hospital Rheingau and Otto-Fricke Hospital in Bad Schwalbach. To ensure excellent patient care in the future, while facing increasing numbers of patients and rising health care costs, the association is pursuing new, innovative paths in technology. With Avaya Equinox™ videoconferencing platform, the collaboration between the sites has been simplified and strengthened, especially with daily case discussions. The group also plans to use the platform to involve external parties in the future. 1 January 2016: St. Josef's Hospital Rheingau in Rüdesheim became a subsidiary of St. Josefs-Hospital Wiesbaden GmbH (JoHo). The company maintains the only non-profit, Catholic emergency hospitals in the region of the Wiesbaden / Rheingau-Taunus district. Thanks to its Christian and patient-oriented culture, modern equipment and high quality standards, the hospital network, with its approximately 2,000 employees, has earned an outstanding reputation. “To ensure the quality of our services and to constantly provide our patients with added value, we are relying on new, innovative technologies. We are thinking not only of the internal knowledge and information transfer within our hospital network, but also of the coordinated treatment of patients with other service providers beyond sector boundaries,” says Martin Bosch, CEO of St. Josefs-Hospital Wiesbaden GmbH. “ Rural regions in particular are characterized by a growing lack of specialists - with increasing patient numbers. To ensure high quality patient care in the future, the resources of the existing medical and nursing professionals must be put to best use,” adds Jens Gabriel, medical director of St. Josefs-Hospital Rheingau in Rüdesheim. St. Josefs-Hospital Rheingau in Rüdesheim is a hospital for basic and standard care. St. Josefs-Hospital Wiesbaden in contrast is an emergency hospital focusing on specialized care with broad specializations. Otto-Fricke Hospital in Bad Schwalbach in turn focuses on geriatric emergency treatment. “It was clear from the outset that we in patient care needed to intensify the level of collaboration and interaction between medical professionals within the association. That was our motivation to look for an appropriate technology solution,” explains CEO Martin Bosch. 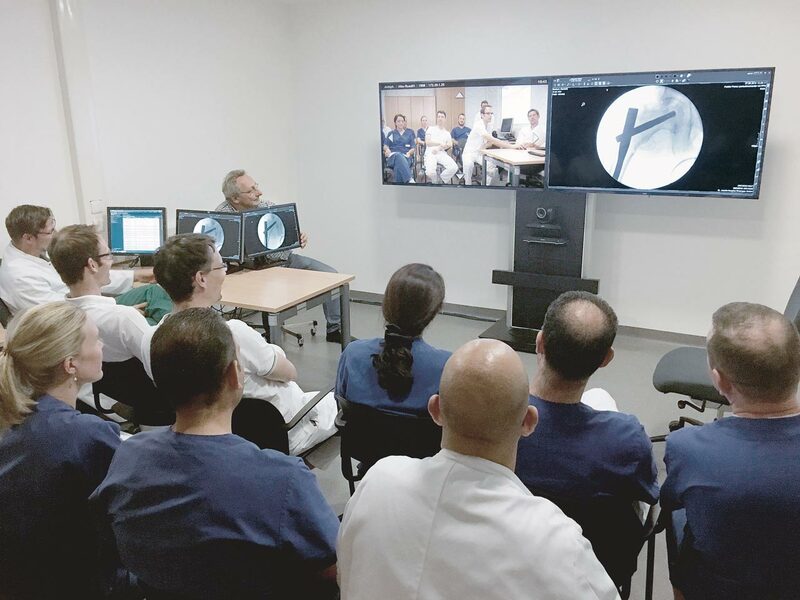 Video conferencing provides the possibility of integrating patient data and vital data of all kinds in real time, which is an important advantage. There were a number of technology solutions considered in early 2016 and the Avaya Equinox™ Video was chosen. The Avaya Equinox™ Video solution prevailed in terms of security and reliability. “The absolute strength of the Avaya solution as a reliable connection in terms of picture, sound and comprehensiveness, over any distance is key. It also provides maximum security, since we are dealing with confidential patient data,” says Thomas Gorniok, IT manager at JoHo Wiesbaden. 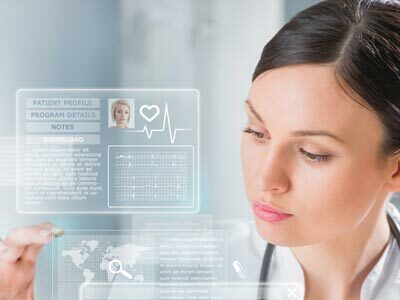 Gorniok also values the existing function scope: “We did not want island solutions, but a future-proof, open platform that is hosted at our site and allows us to build up many of the conceivable video scenarios for health care little by little.” Due to these advantages, the implementation of Avaya Equinox™ Video was launched in March 2016. Also on board was the implementation partner euromicron. “We chose euromicron because of its major project experience, but also because of its proximity to us and its direct proximity to Avaya in Frankfurt. Euromicron took care of the entire technical implementation and the coordination with our IT departments locally. Everything worked out very well.” says Gorniok. 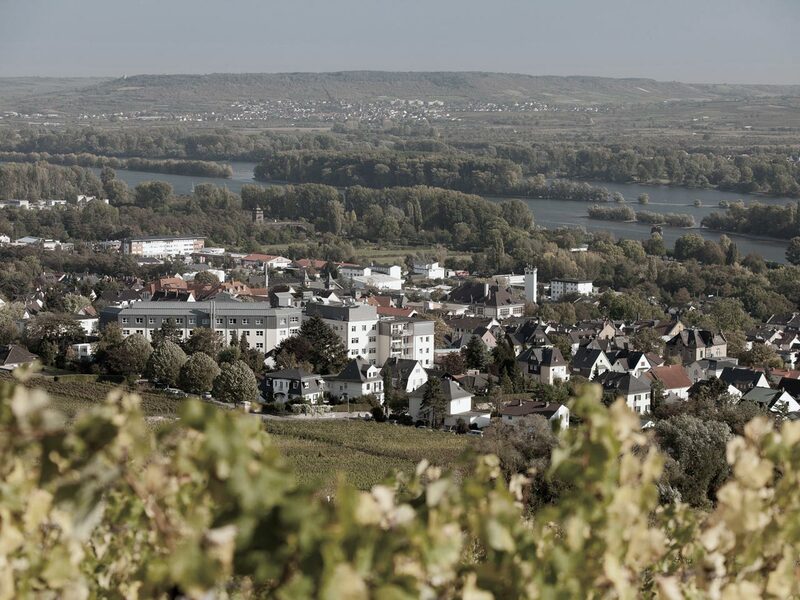 In an initial step, the Wiesbaden site was equipped with an Avaya XT 5000 video room system, Rudesheim with an XT 4300 video room system, and the site in Bad Schwalbach is connected via Avaya Equinox™ Video running on a tablet device—Avaya Elite 6100 MCU serves as the platform. “Currently, we use the solution with inpatient applications, from clinic to clinic. Our doctors are able to easily support each other, whether in daily case discussions, in our weekly tumor board or when a precarious emergency case is admitted,” is how Gabriel explains the current usage. There are currently many scenarios such as patient hours, obtaining a second medical opinion, preliminary talks for operations, video connection of the ORs, complex emergency scenarios such as integrating the control centers upon admission of emergency patients (IVENA), field cameras in ambulances or planning inpatient measures which can benefit from this new platform. Innovative video technology makes a variety of entirely new organizational forms of medical treatment possible. “With the video communication platform from Avaya, we have decisively strengthened collaboration within our hospital. We can also integrate other health care providers effectively. In this way we are helping to guarantee first-class patient care for the future too,” CEO Martin Bosch says with conviction. St. Josefs-Hospital Rhinegau in Rudesheim, alongside Otto Fricke Hospital Bad Schwalbach, is part of a regional hospital group under the aegis of St. Josefs-Hospital Wiesbaden. The group wants to permanently ensure the quality of services at its three locations, in times of increasing patient numbers and an increasing shortage of skilled doctors and nurses. 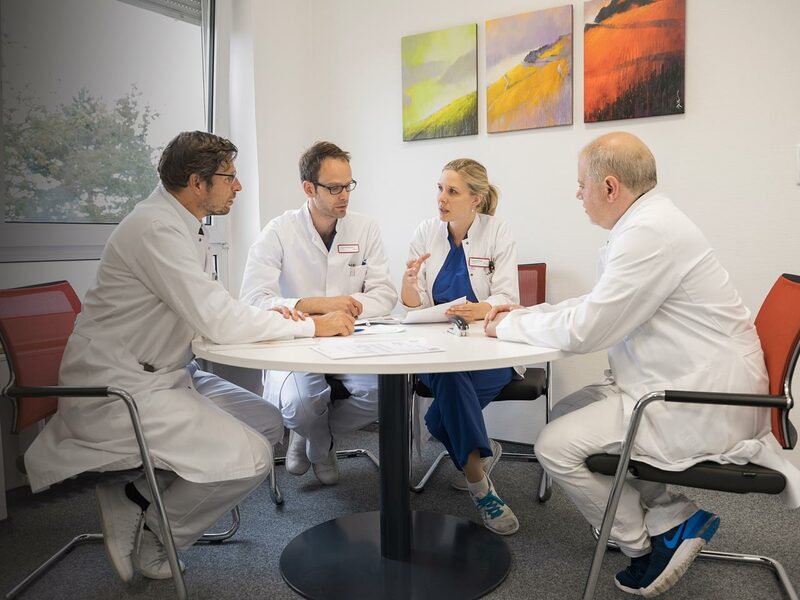 The doctors in Wiesbaden, Rüdesheim and Bad Schwalbach now hold their daily case discussions and the weekly tumor board via the Avaya Equinox™ Video conferencing platform. They can view, discuss and exchange patient data in real time. Traveling between sites is no longer necessary and the time saved benefits patient care. The group is planning on expanding video communication with other innovative applications, and involving important external service providers beyond its own borders. St. Josefs-Hospital Wiesbaden is a modern, Catholic emergency hospital for specialized care and has approximately 500 beds with twelve disciplines. Here more than 23,000 inpatients are cared for annually. Since 2012 Otto Fricke Hospital, Bad Schwalbach, Specialist Clinic for Geriatrics and Conservative Orthopedics, has been a subsidiary of St. Josefs-Hospital in Wiesbaden. Since January 1, 2016, St. Josefs-Hospital Rheingau, a Catholic hospital providing basic, standard and emergency care based in Rudesheim, has also belonged to the association. With its approximately 300 employees and 150 beds, it ensures steady, high quality health care on site. The range of services offered includes the specialist disciplines of internal medicine and general and trauma surgery, supplemented by the departments of geriatrics, anesthesia and intensive care, foot surgery, plastic and hand surgery, gynecology and radiology.